In Lesotho BORDA's partner TED (Technologies for Economic Development) constructs decentralised wastewater treatment systems, one of a variety of ways the partnership works to sustainably improve local living conditions. In Lesotho’s capital Maseru, many residents have small houses in the hilly outskirts of the city. For those who can purchase the affordable DEWATS system, it offers an appropriate option to supply their households with a safe sanitation system. The decentralised wastewater treatment system serves 4 residents. A 6m³ sized biogas digester will manage the daily influent wastewater. It functions as a settler in order to separate solids from liquids, and as a digester to convert the settled organic matter into biogas and pre-treated wastewater. Besides domestic wastewater the digester can be fed with organic waste like animal manure, kitchen scraps, garden trimmings and paper. Those organic materials will mainly contribute to biogas production, and they may also slightly affect the appearance (colour) of the final effluent quality. 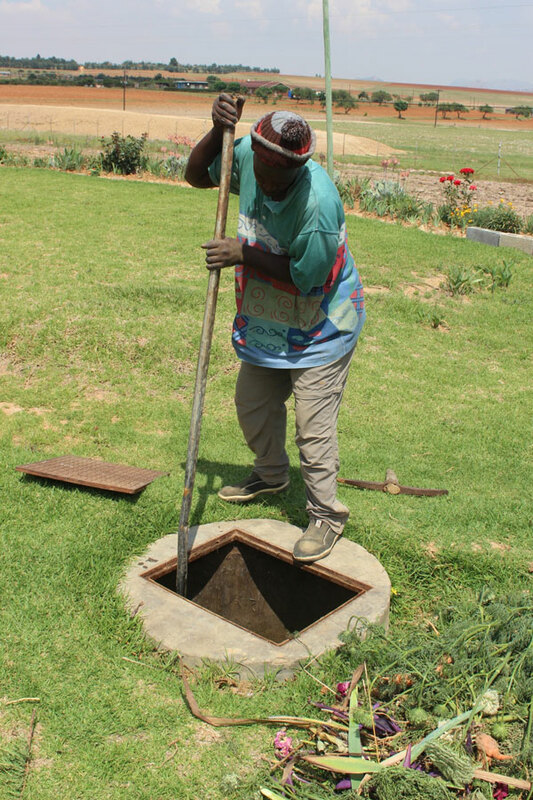 An inlet provides for feeding into the digester these additional organics as well as the grey water produced in wash basins during food preparation, laundry or bathing. The wastewater discharged into the anaerobic baffled reactor (ABR) is pre-treated, but it cannot yet be used for irrigation directly; it requires further treatment. This reactor functions as an expansion tank for the core treatment of the not yet settled wastewater components. Integrated baffled walls force the water into an up and down flow, bringing water pollutants in contact with micro-organisms living in the suspended or sedimented sludge. This post-treatment component eliminates odour and remaining pathogens. The pre-treated wastewater flows from the ABR horizontally through a gravel or crushed stone filled filter bed. Under correct operation, the water level will be below the surface of the filter material, not visible and not smelly. 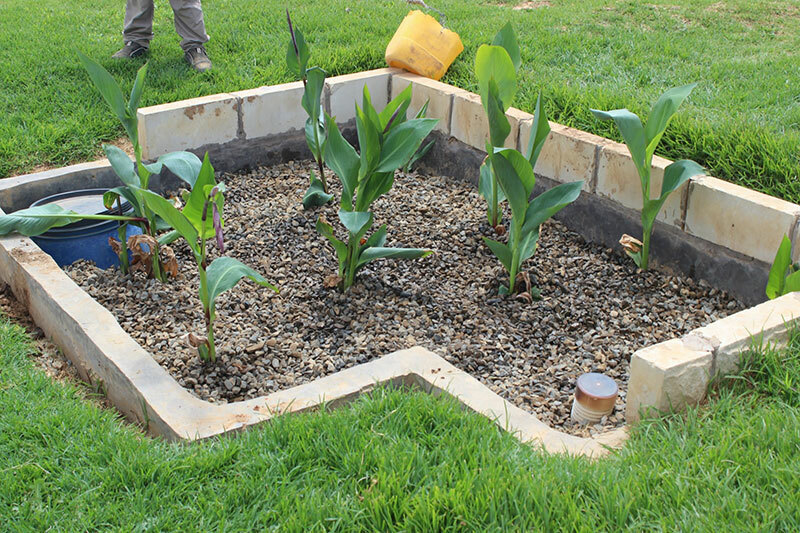 This filter bed (the most visible treatment component of the DEWATS system) can be planted with aquatic plants and thereby integrated into the homeowner's garden.